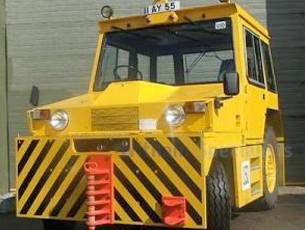 We can offer a fleet of compact aviation tugs from Hallam. These rugged and reliable vehicles are fitted with an inter start socket, have a mighty 23,000kg maximum pull, 5 height towing front and rear, power assisted steering, 4-speed / 2-stage torque converter transmission, lights & beacons, hydraulic spoils and front & rear seats. 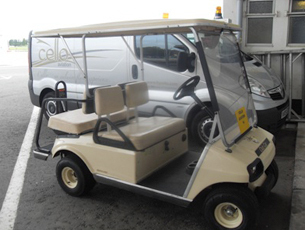 Our range of environmentally-friendly electric carts are ideal for quick and cost-effective movement of crew members and support staff around the apron. A long battery life allows flexible and rapid availability.